Typing has become one of the most essential skills which are being taught at schools as part of the curriculum. However, most students do not master typing till they reach advanced education levels. 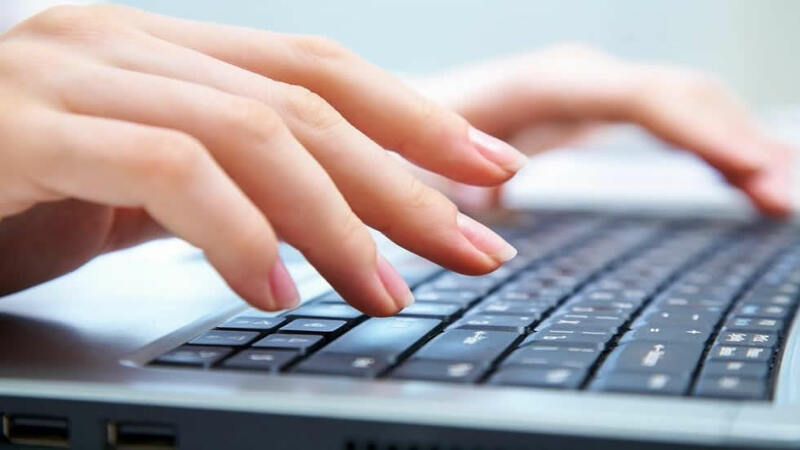 The following sections discuss about some of the best typing tests available online and how teachers can use them to measure the typing ability of their students. RataType’s easy-to-navigate, user-friendly interface makes any new user feel instantly welcomed. Once the user clicks on the “Start Typing Now” button on the home page, he will be directed to the test page. Later, he should register with the site to receive customized lessons based on his scores in the initial test. While students completely new to typing start from the basics, those who mastered the fundamentals will be taught advanced lessons for developing speed and accuracy. RataType’s fully web-based interface allows you to take the tests from anywhere. To make learning more interesting, this website can integrate with social networking sites so that a student may choose to display his scores on his Facebook or Google+ page. For a free typing test, please visit http://www.ratatype.com/typing-test/. If you are looking for a typing test which is more interesting as compared to other traditional tests that need you to type a paragraph from classic literature, this is the site you should be visiting. Here, you will be required to type a set of words that are rapidly generated, and so, the test provided by this site is considered as the most accurate one on the web. Most students using other tools memorize Aesop’s fables (or similar classics) and their typing speed remains high, but their scores remain low when it comes to accuracy. To avoid such scenarios, this website trains the students on random words so that their finger strokes remain spontaneous. Previously known as TypingWeb, this website is known to provide some of the highly comprehensive typing lessons available online. In addition to the classic lessons like Aesop’s fables, this site offers some specialized lessons on complex medical terms, frequently misspelled words and more. The site acts as a learning network where students create their respective accounts and the instructor is allowed to build a virtual environments and monitor each student’s progress from his own portal. This system makes it a favourite for schools. In case a student or a teacher needs some help regarding a test or a lesson, he can contact the support team and receive a solution via email. The website also features a blog section where all the information about the site’s features is posted. This is the simplest yet the most popular test for measuring typing skills. The website offers the test in two modes: a quick one-minute test and a five-minute test that is downloadable. Using both, the instructor gets a fair idea on each student’s typing speed and accuracy. Apart from these tools, the site provides a “typing machine” application that can be downloaded and run in the computer’s background. It tracks how a student types and generates a report pointing out the particular finger strokes that need more attention and the letters that cause most errors. Apart from English, the students are provided tests in eight languages including Spanish and Italian. The site’s blog section has some very informative articles that help you boost your typing speed. As the name denotes, TypeRacer provides some interesting tests that feel more like games. The site provides all the required tools that an instructor needs to customize a lesson plan that is based on the content presently taught in the class. For example, if an English teacher wants to integrate typing lessons based on Hamlet, he may create tests and races based on the same subject. This method appeals to the inherent nature of competition among the students, and prompts them to practise harder for higher scores. Typing is one of the crucial skills that students need to acquire during their years at school. Learning to touch type from a young age greatly aids them when they move on to college and later to work environment. Moreover, it is always beneficial to be equipped with a skill that has become mandatory for most jobs. So, learning to type for kids at a good speed while at school boosts the confidence and employment opportunities in future.